So a lot of people have been asking what I use on my teeth. I have tired so many different products and wanted to share with you some of my favorite ones that have worked for me. I hope this kind of helps any of you looking a cheaper alternative. The Plus white system works pretty well for the price you really can't beat it but if your like me and don't really want to have to fuss with something for 2 weeks everyday then you might get annoyed with this product. 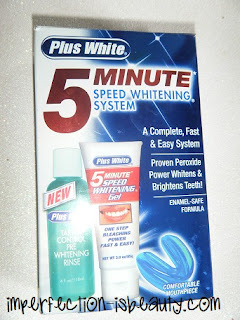 Overall I used this for a while and my fiance used it even longer and his smile was so white I was very impressed. 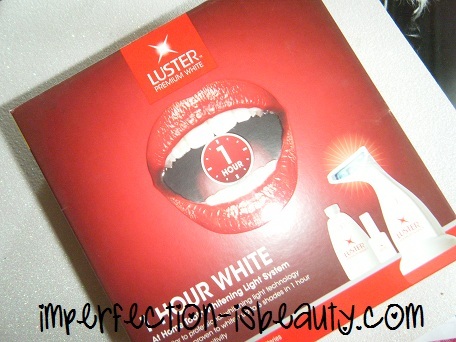 The Luster white light system is again something that you have to do for awhile but at least you can do it all in one day rather then for 2 straight weeks! This product you use for 1-2 hours. You have to repeat steps 1-3 30 times, well I'm not sure how many times exactly but its pretty close. You swish your mouth with the wash then paint on the gel liquid onto each tooth, then you put the light up to it for 2 mins ( the light will automatically shut off ) then repeat for a few hours. Sounds like a pain but honestly it works but again I don't want to do that for 2 hours every month. 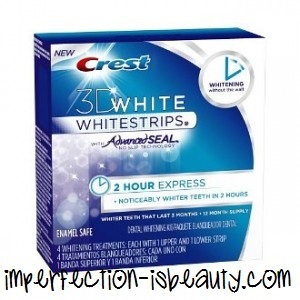 The Crest 3D 2 hour express white strips are amazing! I love these so much. I have always been a fan of the white strips mainly because they are hassal free, and I can do things while whitening my teeth. I usually get ready, or run a few errands that I don't need to talk to anyone lol or, do some grocery shopping. These really brighten up your teeth in 2 hours! 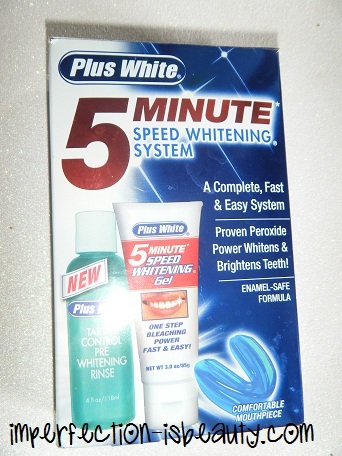 Its amazing because before these I used the white strips that were two weeks and it kind of sucked that you had to wait two weeks so this is awesome because its super fast and easy. I love these. Some people complained that it hurt but I felt no pain at all, so if you do feel any kind of pain I wouldn't use these. The box comes with 4 strips 2 in each for the top and the bottom and they are to be used every 3 months so it has a year supply in the box. 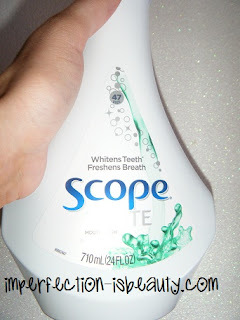 The toothpaste I use on a regular basis is the Crest 3D Advance I absolutely love this toothpaste so much. It does help me maintain my white teeth until I can use the white strips again. I love this because it leaves my teeth feeling so clean and my breathe smelling minty and fresh. I also use the Scope White Mint mouthwash just because and I'm not sure if it really does keep my teeth white but I like to think so. It helps get any of the germs, and what not that my toothpaste might leave behind. I do use a spin-brush toothbrush and I couldn't imagine not using this now that I am using one. Its great and works so well and gets in the hard to miss places that your regular toothbrush might miss. I feel like this does such a good job. I Love it! Here's my video on all of the products! I hope everyone's enjoying there weekend. Thanks Huda :) I Love them! !